Terry O’Quinn recurs in PERPETUAL GRACE, LTD. as “Tom Walker,” an exceptionally competent and persistent Texas Ranger whose investigation into the death of a young girl lands him in Half Acre where his primary suspect, Paul Allen Brown, has resurfaced. 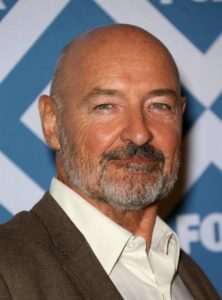 O’Quinn also appeared in such award winning movies for television as “An Early Frost” and “Roe vs. Wade,” leading to recurring and series regular roles on many shows including “Millennium,” “Harsh Realm,” “JAG,” “West Wing,” and “Alias.” His work on “Alias” led creator J.J. Abrams to offer him the role of the enigmatic ‘John Locke’ in the groundbreaking series “Lost.” O’Quinn’s portrayal garnered him an Emmy nomination in 2005 and an Emmy Award for Best Supporting Actor in 2007. O’Quinn was born and raised in Michigan.